It’s a surprise to have a tech conference kicking off with an icon of fashion. But Karl Lagerfeld has some surprises for us. He sees himself as very “different from the marionette he has become for the rest of the world”. Despite being a self-proclaimed “paper freak” when it comes to books, he’s a fan of the iPad because it allows him to work, sketch, and send them back to the studio. He carries four different iPhones with him, with certain people only allowed to call certain phones. “It’s not one per person, I know more than four people”. He has a bunch of iPod Nanos with the mixes of the day on them. He has hundreds of iPods with different compilations of music he creates, and he annotates them with the date so he can go back to a particular period. iPads? He uses them as sketchbooks and diaries and photo books. He has several for different subjects and ideas.They’ve put his iPad up on the screen, and it’s packed full of videos and photos, for inspiration or demonstration. He showed us a short video advertising a handbag. He’s not someone who believes in technology replacing things. He loves both his iPads and paper. They both have their place in his workflow. And now Natalie Massenet from net-a-porter is on stage, and announcing the launch of a new collection called Karl, designed by Karl Lagerfeld, and available online exclusively from January 25th 2012. Prices are “for these times” – jackets from about £150. Some amazing evening dresses for more. “Fashion today comes from a lot of pieces, it’s not a complete look. New things spice up what you already have. 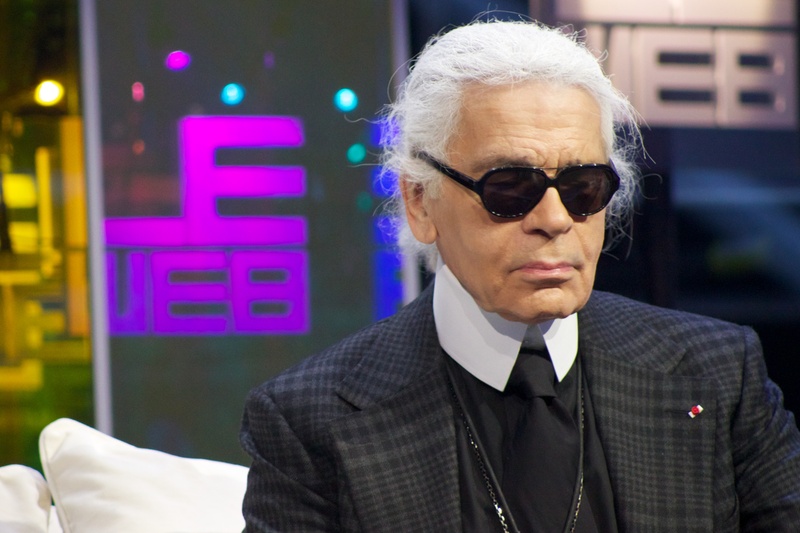 The approach is more casual because things are less expensive,’ says Lagerfeld. So, how does he learn, asks Loïc?